Whole Foods discovered Jenna Huntsberger's cookies in 2015. Treats from her bakery Whisked, then based out of a Washington, D.C., incubator for food startups, sold so well in the first store that more stores started calling. Huntsberger's products would eventually be sold in about 15 Whole Foods locations, and she had to move into a bigger space in order to meet the demand. Then, last summer, Amazon (AMZN) took over. At first, Huntsberger didn't notice any changes. But at the beginning of this year, she discovered that Whole Foods was bringing in a third-party company to take over all of its in-store samples and demos. That has threatened the survival of the small, local business that had been handling Whisked's demos, both at Whole Foods and at another regional grocery chain, and it could mean Huntsberger may have to handle the demos in other stores herself. "There are a lot of changes going on, and it's hard when you don't know what they're going to do," said Huntsberger, sitting in her bare-bones office that looks out to the bakery where workers are pumping out cookies and pies. "We try to keep our ear to the ground with buyers at our stores, but it's all speculation." It's an anxious time for the thousands of small retailers and farmers who sell to Whole Foods now that it's owned by the biggest e-commerce company in the world. Many of the changes currently underway at Whole Foods began before the acquisition. But as the company further integrates with Amazon's systems, some mom-and-pops worry they'll be squeezed out in favor of larger brands that can pay higher fees for shelf space and serve vast distribution networks more efficiently. Will there be room left for the little guys? Whole Foods had established itself as the first big grocer that actually cared about local sourcing. By allowing each store to handle its own purchasing and employing local "foragers" to scour farmers' markets for promising new products, it helped nurture a generation of food entrepreneurs who otherwise would have been shut out of larger chains. But that hasn't always been the most profitable business model, especially as mainstream competitors like Walmart and Kroger started offering organic and natural foods as well. Under pressure from investors in 2017, Whole Foods began centralizing its purchasing system and standardizing some of its offerings across its 473 stores. In the six months since Amazon announced the acquisition, most of the changes have been customer-facing, like highly-publicized price cuts on certain staples, the appearance of the Amazon Echo in stores, and discounts on Whole Foods products for Prime members. 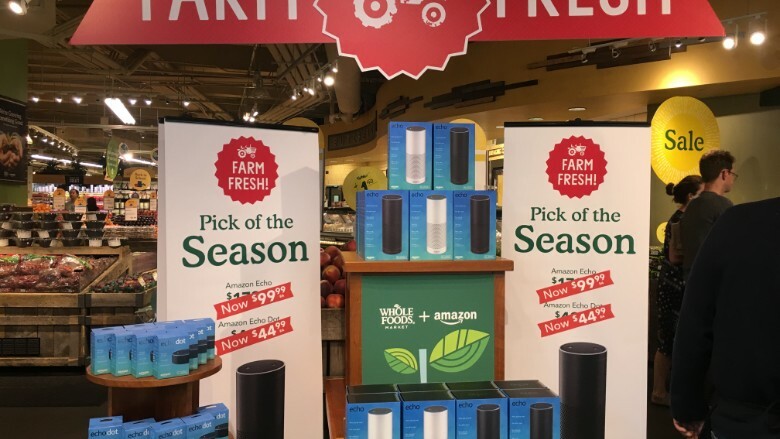 After Amazon bought Whole Foods, customers started seeing the Echo for sale in stores. But then deeper changes started happening. In recent months, Whole Foods has told some vendors that the prices it charges for high-profile store placement will be going up, for example, especially in regions that had charged little or nothing before. It's also monitoring inventory more carefully, with the help of an outside company to make sure that displays are executed correctly. Scott Mushkin, a retail analyst with Wolfe Research, thinks some of the changes have gone too far. Take the example of each store's yogurt section. In the past, each store had the ability to pick and choose which types of yogurt it sold, he says, but now it's more uniform. "What you're getting is a more pedestrian yogurt display, more centralized across the country," Mushkin says. "It tends to play better for bigger brands. That leaves less for local guys." Whole Foods says it's not backing off its commitment to local suppliers. It's maintaining its $25 million local producer loan program, for example, and says that smaller suppliers that sell into fewer than four regions are still managed on the regional level. It says that small producers can still walk into their local store and meet with a regional buyer, and that it is not reducing its local inventory. It's still not charging "slotting fees" for shelf space, which is a standard practice for most large grocers. 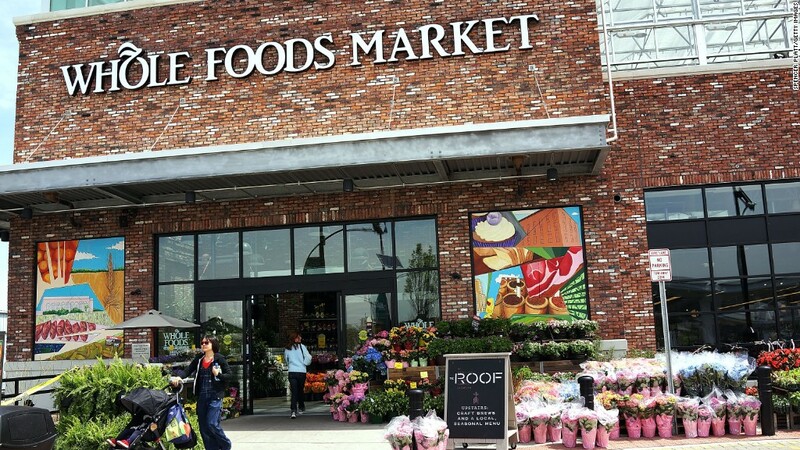 "Under our new category management process, regional buyers have more time to focus on small and local suppliers in the region," said Whole Foods spokeswoman Brooke Buchanan. "We spend all day every day looking for cool, exciting innovative products to introduce to our customers." Many of the local suppliers CNN spoke with say they haven't noticed any changes, and they hope that Amazon's incredible distribution reach and customer base will create opportunities for them to send goods directly to doorsteps. Amazon is aligning its grocery delivery service, AmazonFresh, with its two-hour delivery service, Prime Now. But others are concerned about relying too heavily on Whole Foods for sales, and they are looking for other distributors or to sell directly to consumers themselves. Will Harris raises grass-fed cattle at White Oak Pastures in Bluffton, Georgia, and used a loan from Whole Foods to build his own slaughterhouse back in 2008 when the grocer's appetite for his beef overwhelmed the one he'd been using. In 2013, as Whole Foods started finding other suppliers, the orders fell off. Harris was able to find new customers by selling to other grocers and by starting a restaurant, a food truck and a general store on the ranch. Now, he sells everything from chicken legs to beef trachea online. 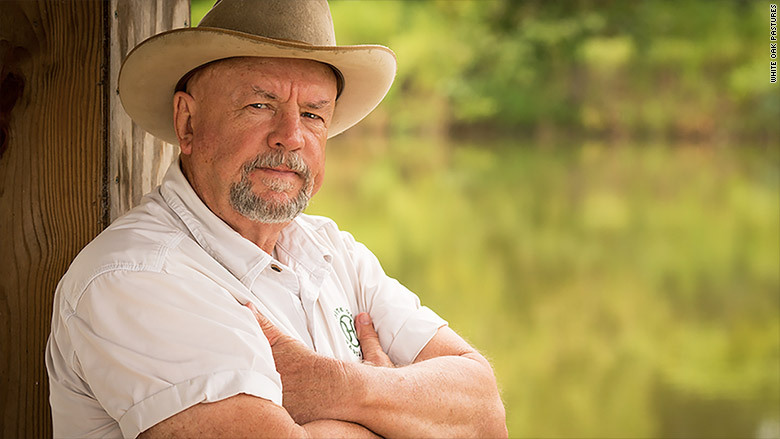 White Oak Pastures owner Will Harris has diversified his revenue streams since Whole Foods' orders started falling off in 2013. Harris says he's not surprised by Whole Foods' recent change in direction. "Despite their altruistic philosophy, at the end of the day, Whole Foods is a stock company, and they owe allegiance to the shareholders," Harris says. Still, not everyone has the same capacity to diversify their revenue. Susan Soorenko owns Moorenko's, a small-batch ice cream producer based in Maryland that has been selling to Whole Foods since 2005. She says Whole Foods changed distributors, from a smaller regional company to a larger national one, which she says isn't as responsive. Meanwhile, her shelf space has been whittled down, as lower-calorie competitors have filled the freezer, and the buyer she used to work with relocated to Whole Foods' Austin headquarters. "If I run into an issue, there's nobody to go to," Soorenko says. "I don't feel like we're partners anymore." Staffers of Moorenko's in Northern Virginia. 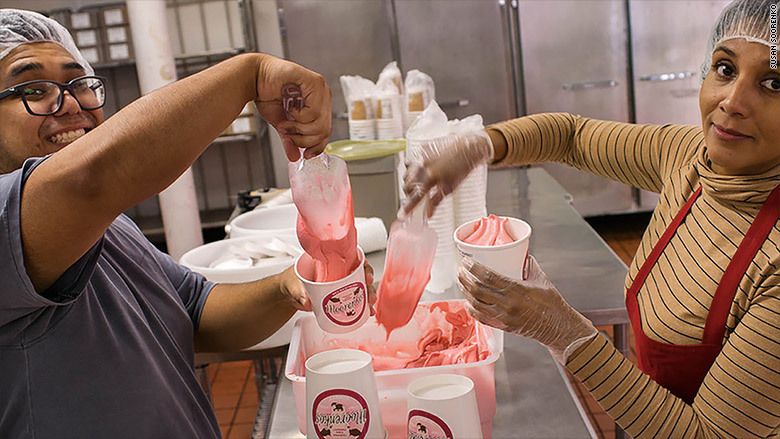 The company has been selling artisanal ice cream and sorbet to Whole Foods since 2005. The impact may be most felt, however, by suppliers that never manage to get their first Whole Foods purchase order. Zach DeAngelo invests in and consults for small food companies, and says that Whole Foods hasn't been as eager to take chances on new products. "I've seen a lot less brands get into Whole Foods," says DeAngelo, noting that Walmart and Kroger have been more aggressive about sourcing local products lately. "Because Whole Foods is dropping the ball on leading innovation, other retailers are cropping up." Universally, small suppliers who spoke with CNNMoney say they hope Whole Foods doesn't let go of its local identity — both for their sake, and for the sake of maintaining Whole Foods' competitive advantage. Sara Polon says her Takoma Park, Maryland-based soup business called Soupergirl has seen orders tail off since the Amazon acquisition. She thinks it might be due more to tighter inventory management and a focus on avoiding waste, which she doesn't mind — as long as they keep the door open. "Whole Foods as a company helped me turn into the business I am today," Polon says. "And they have the opportunity to keep doing that. I hope they stay true to what they are, and I'm not sure it's up to them."